In the previous two issues, GM Viktor Gavrikov presented the most important attacking ideas in position with an isolator. As we already noticed, an isolated pawn provides a spatial advantage, which significantly increases the attacking potential in difficult middlegame positions. 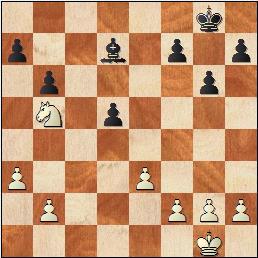 Although the examples discussed so far were instructive and eloquent, we must know that playing with an isolated pawn does not only lead to brilliant attacks, ending with elegant combinations. A well-known rule is that the defending resources are bigger than the one for the attacks. This guideline also concerns the positions with an isolated pawn. When the opponent manages to rebound from our attack on the kingside, our spatial advantage loses its value and the isolated pawn becomes a weakness. You have to remember that every exchange of the pieces brings us closer to the endgame, where the isolator is extremely vulnerable. Unlike the middlegame positions, in which our main goal is to prevent the movement of the pawn (usually by blocking it with a knight), in the final stage of the game, we try to win it. According to a famous saying of the Chinese philosopher Lao Tzu, the one who does not know where it goes, necessarily arrive somewhere else. In this frame of mind, I would like to analyze the game against an isolated pawn, proceeding from the fundamental aim - the winning of the pawn. This retrospective approach has to start from the endgame and only then, we can deepen our past understandings of middlegame positions. 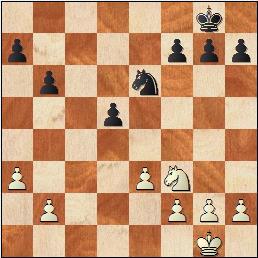 The following example has a very special role in the formation of my chess knowledge. 4) combined attack on the opponent's weaknesses and winning one of them. Now, let us see how the soviet master Sergey Belavenets puts into action our plan. 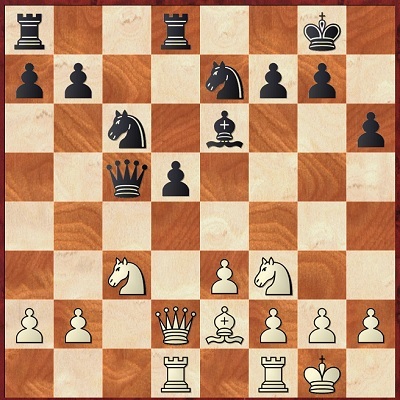 We already know that when we have a strong knight against a weak bishop and the side playing with the bishop has an isolated pawn, the defense is extremely difficult, because it is almost impossible to organize any counter play. Let us assume that in the previous example instead of the bishop, there has been a knight. In that case, White's advantage would have been minimal, because there is no possibility of enhancing the pressure on the isolated pawn. It is enough for Black to place the king on "d6" and the knight on "e6" and the "d4" square is inaccessible for the white king. Following, we must avoid remaining with a light-squared bishop when there is an isolator on "d5". I would like to grab your attention to a more difficult and complex position of an endgame, in which there are both minor and heavy pieces. 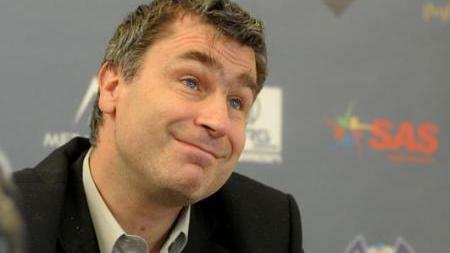 Let's enjoy the brilliant way in which the legendary Ukrainian GM Vassili Ivanchuk (on the picture below) plays against IQP. I hope that the previous two examples shed enough light on the methods of struggle against the isolated pawn in the endgame. We already know which pieces have to be exchanged and which should remain on board. This fundamental knowledge will help us to understand better the middlegame positions with an isolated pawn. The last example that I would like to share is from my own games, played in 2010 in the Open Tournament in Kavala (Greece). Despite the modest rating of my opponent Panagiotis Michelakos, he performed very well until the fifth round, when he had to play against me. Looking at his games, I understood that when he plays a familiar variation and the position is full of tactical resources, he could defeat a stronger player. Considering this, I decided to play a quite position that predicts a long maneuverable game, where the lack of experience and the age of my opponent would have their say. 2) the exchange of the minor pieces. Webdesign from webdesign studio Strangers.